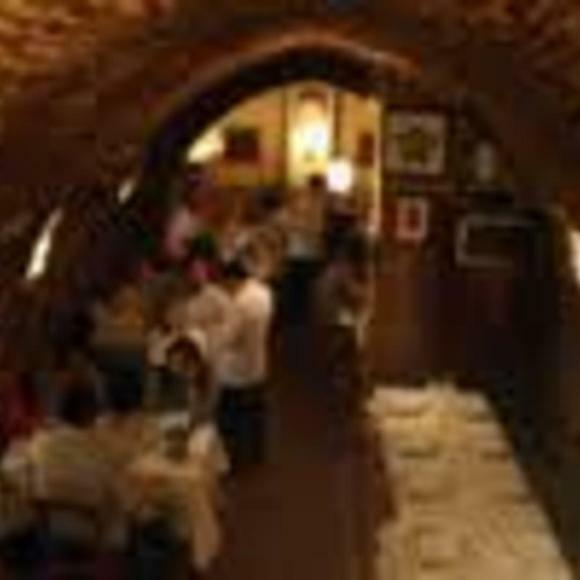 Noted by Guinness as the world's oldest restaurant, Botin is a culinary journey back in time. This restaurant was established in 1725 and still maintains much of its historic charm, from the original wood and tile work to the centuries-old cast iron ovens. Typical madrileo/Mediterranean fare. Chow down on the specialty, suckling pig, prepared the same way for hundreds of years. The restaurant and the accompanying experience itself was not offensive. The staff was professional and old school and brought you back to 1947 and so did the food; it's traditional Spanish country cooking. Despite being the heart of modern Madrid, the ambiance is also country and rustic. And, although we were thrown into the bowels of the restaurant (I would have preferred being in the main dining rooms), the basement too, had its charms. The simple fact is this, you are paying a very high price to eat food that is not bad but by no means extraordinary, in the world's oldest restaurant. We paid €119 for appetizers, a bottle of wine and two entrees and two desserts--for that price I would have liked my socks to have been knocked off--they weren't. The great thing about Spain is that history is everywhere, you don't need to pay through the nose at the world's oldest restaurant for it. Additionally, if you are craving traditional Spanish country food, go to a small city where you will find some of the best wine and food you have ever tasted for a fraction of what you will pay at El Botin. A must visit at least once. Old world charm, outstanding service, reservations is highly recommended, we lucked out with our front desk clerk calling for us even though we went without a reservation. Suckling Pig is specialty, I ordered it but for me it was too fatty. Tab for the 2 of us with entrée, appetizer and bottled water was 120 usd. Mind you that also included price of what we thought was complimentary bread they brought to table and the butter. If you eat what they bring out they will charge you, nothing is free. Clientele is mostly tourists not locals. Established in 1725, this restaurant is listed by Guinness Book of World Records as the oldest restaurant in the world. The food is traditional Castilian cuisine. The crowd is a mix of tourist and locals; it a fun and lively atmosphere.\r\n\r\nI recommend the roasted suckling pig, which is amazing, and a specialty. Make reservations!